Alternatives: Get your sweetness from a little fruit (fresh or dried) or stevia. Use spices to add a little sweetness – Cinnamon tastes sweet and actually helps balance blood sugar levels! Vanilla bean powder is great too. Alternatives: Avoid deep frying. Olive oil is great for sautéing. Use oils fats with a naturally higher smoke point – ghee (clarified butter) and coconut oil for pan-frying. Don’t be fooled by the infamous tick of approval. Margarines are made from ‘vegetable oils’ (although they are actually seed oils and have nothing to do with veggies!). A great deal of processing is required to turn liquid oil into a spreadable spread! Plant sterols are added in unnatural quantities to reduce cholesterol absorption. Margarines tend to be very high in omega-6 fats that in excess are linked to inflammation and are not so heart-friendly. Alternatives: Switch to real food. Use a little butter over any sort of margarine (our grandparents did, and they were fine!). Avocado, tahini, hummus and full fat ricotta are also great alternatives to processed spreads. We have been tricked to think that anything gluten-free (breakfast cereals, biscuits, crackers, pasta) is an obvious good choice. Think again. Read the ingredients. These products tend to contain ‘empty fillers’ – like corn, white rice, soy flour and potato starch. Many also tend to contain sugar. Alternatives: If you wish to reduce your gluten intake, choose superior alternatives like quinoa, buckwheat, millet and amaranth. Cut the middleman where possible – e.g. make your own quinoa porridge or muesli mix based on activated buckwheat, nuts and seeds. So easy and so much better for you. The balance between nuts and dried fruit tends to be ‘off’. Packed with dried fruit and the odd nut, these are actually very high in (natural) sugar. Some fruit in these mixes (like cranberries) contain added sugar, while others (like apricots) contain preservatives (e.g. sulphur/220) to keep their colour. Alternatives: Be in charge of your own trail mix! Make a batch at the start of the week to keep you going. Throw together some almonds, cashews, walnuts, pepitas, cacao nibs, chipped coconut and a little dried fruit such as Goji berries or raisins. Looks ultra wholesome but actually contains very high amounts of sugar (through honey, dried fruit and added sugar). Not to mention the use of inferior vegetable oils (e.g. sunflower oil, canola oil) additives and preservatives. Alternatives: Go for raw, untoasted muesli (using activated buckwheat as a base) or make your own granola by baking rolled oats, almonds, chipped coconut, coconut oil, cinnamon and a little maple syrup. 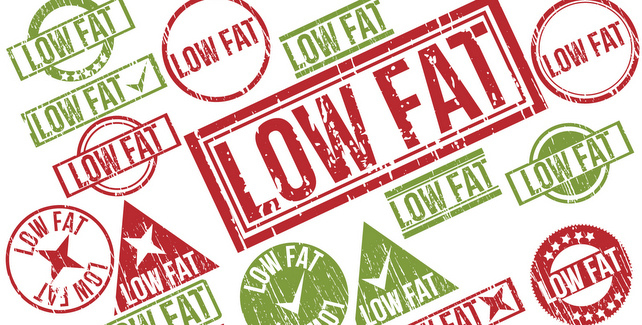 By removing so much of the natural fat, manufacturers are ‘forced’ to compensate. So many ‘healthy’ yoghurts out there are low in fat but packed with added flavor and sweeteners (both natural and artificial). We need some fat in order to absorb the fat-soluble vitamins that are in these foods! Fats also keep us satisfied and stop us from constantly foraging for more food. Alternatives: Have the real thing in moderation rather than buckets of the fake stuff. Choose natural, full fat yoghurt (which should only have two ingredients, milk and cultures, not a whole list!). Add a little cinnamon/vanilla bean powder and some fresh fruit if you wish. ‘Natural yoghurt’, ‘98% fat-free’… feels like we’re being virtuous by ditching ice cream. But don’t be fooled. Sugar is here in full force, not to mention all those colourful toppings. Alternatives: Make your own by blending natural yogurt or coconut milk with frozen banana. Top with crushed nuts and seeds. Whether freshly squeezed or bottled, this is a LOT of fruit and hence a LOT of sugar. In terms of kilojoules, it could amount to a meal’s worth. Alternatives: Eat your fruit (2 pieces per day), that way you get the fibre too. Juice your veggies (choose juices such as beetroot, celery, carrot, kale, spinach. Throw in some ginger and lemon/lime juice). Little food, little plates. Feels very clean and angelic. The truth is that to get to that little morsel of protein or vegetable, we need to get through a whole heap of rice (usually white). The condiments (pickled ginger and wasabi) tend to contain a bunch of numbers (additives, colours, preservatives, artificial sweeteners). Not so clean after all. Alternatives: Choose sashimi (sushi without the rice). Go easy on the condiments. Don’t make sushi bars a staple for lunch or dinner. the front of the package sells itself with ‘ultra’ and ‘slim’, but if you turn it around, you’ll find a long and dirty list of ingredients. Sweeteners in abundance (both natural and artificial), a whole heap of numbers (preservatives, additives), flavours, colourings, emulsifiers and a concoction of protein sources including soy isolates (not what you want!). So, yes, it will do the job of keeping you full, but surely there are other ways! Alternatives: The best option is to make your own bar! Use nuts, seeds, dates, coconut oil and cacao powder. Alternatively, for a quick protein fix, whip up a smoothie with natural yoghurt and a raw egg. the reason that the high fibre content of these cereals is pushed so heavily is because that’s about the only thing they have going for them! They line the shelves of supermarkets, touting health claims such as ‘lower cholesterol’ and ‘promote healthy digestive function’. Read the labels and you’ll more than likely find unwanted ingredients and the unwarranted presence of sugar. You’ll also find very little protein and essential good quality fats, both of which we need to kick-start the day and feel satisfied. Alternatives: If cereal is your thing, look beyond the fibre! Choose those that are unsweetened, based on rolled grains (not puffed) and contain nuts and seeds (these will deliver fibre and good fats). Or, say goodbye to processed grains and make your own wholegrain porridge – cook pre-soaked millet, quinoa or spelt and add warm milk, nuts, seeds, fresh fruit & cinnamon.